LORD BYRON : The Byron Berline Band (pictured) brings its incredible bluegrass and Western sounds to the next Red Barn Community Music Series concert, set for March 16 in Los Osos’ St. Benedict's Episcopal Church, with opening act The Cache Valley Drifters. The Red Barn Community Music Series has certainly had its fair share of awesome concerts over the years, but for Wednesday, March 16, it’s really outdone itself. 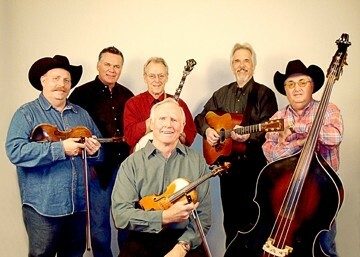 The Byron Berline Band is coming to St. Benedict’s Episcopal Church (2220 Snowy Egret Lane, Los Osos) with The Cache Valley Drifters opening at 7 p.m. (Potluck at 6 p.m.; all ages; $20 tickets at the door). If you have even a passing interest in bluegrass, this is not to be missed! Two-time Grammy Award nominee Berline is a three-time national fiddle champion who’s played with legends such as Bill Monroe, Dillard and Clark, and Country Gazette. His current band—John Hickman, Jim Fish, Greg Burgess, Richard Sharp, and Steve Short—is a freakishly tight outfit that rips through barn-burning bluegrass and western tunes. Berline’s enjoyed a long and storied career, moving to L.A. in 1969 and performing and recording with all the biggest acts of the era: The Rolling Stones, The Eagles, The Band, The Byrds, Elton John, Alabama, Mary Chapin Carpenter, The Flying Burrito Brothers, Rod Stewart, John Denver, Earl Scruggs, Emmylou Harris, Tammy Wynette, Mason Williams, Bob Dylan, Willie Nelson, and Vince Gill. His music’s been featured in several prominent films, as well, including Star Trek, Blaze, Back to the Future III, and Basic Instinct. Berline currently owns and operates the Double Stop Fiddle Shop in Guthrie, where jamming with local performers led to his current band. As for the Cache Valley Drifters, they’re an amazing bluegrass trio with soaring three-part vocal harmonies and an ability to slip great songs from other genres into the bluegrass sound. 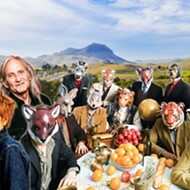 Together for 35 years in one incarnation or another, they were the original backup band for legendary folk artist Kate Wolf. The Red Barn Community Music Series is a monthly concert series showcasing local, regional, and national musicians performing old time, bluegrass, swing, Celtic, blues, and other forms of acoustic roots music. Call 528-4530 for more info. Two nights of reggae? Check! A surf night meet and greet? Check! Awesome Cali rock action? Check! Some awesome hard rock action? Check! Some awesome metal action? Check! Earlier on Friday, March 11, upstairs in SLO Brew, you can rub shoulders with Santa Cruz locals during a 5 p.m. meet-and-greet reception (all ages; $10 at the door) for the SLOIFF’s Surf Nite screening of The Westsiders later that night at the Fremont Theater. Special Surf Nite guests will include director Joshua Pomer, “Flea” Virostko, “Barney” Barron, “Ratboy” Collins, Vince Collier, producer/musician Brian Himmel, and musician Mike McCready. Get your dose of California breezy rock when local faves Mother Hips return on Saturday, March 12 (7:30 p.m.; 21-and-older; $15 presale or $17 at the door), with Floating Action opening. They’ve delivered a string of critically acclaimed albums and built a solid cult following around their soaring rock anthems, which culminated in the excellent Kiss the Crystal Flake. 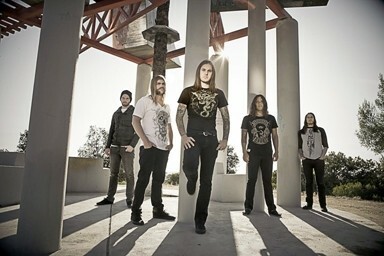 METALLIC JESUS : Christian-tinged metal act As I Lay Dying returns to SLO Brew on March 16. Are the rumors true? Hells yes! Legendary southern rockers Molly Hatchet (formed in 1975!) play on Sunday, March 13 (7 p.m.; 21-and-older $20 presale or $22 at the door). Named after a legendary Southern prostitute who allegedly beheaded and mutilated her clients, Jacksonville’s Molly Hatchet melds loud, hard rock boogie with guitar jam-oriented Southern rock. 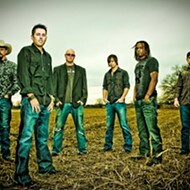 Metalheads unite when As I Lay Dying returns to the club for an evening of hard-hitting Christian rock on Wednesday, March 16 (7 p.m.; all ages; $20). 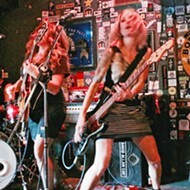 The San Diego-based, Grammy-nominated act is up to its metalicious tricks on The Powerless Rise. Rock on. If you’re still feeling the Fat Tuesday buzz and want to carry the Mardi Gras spirit on for another day, the SLO Blues Society’s got the show for you on Saturday, March 12, when it welcomes Donna Angelle and the Zydeco Posse at the SLO Vets Hall, with The Karen Tyler Trio opening the show (8 p.m.; 21-and-older; $20 at the door). Arrive at 7:30 for some free dance lessons with your admission. Donna Angelle got her start playing clarinet in grade school, which quickly led to other instruments. After performing with her high school band, she struck out on her music career, which pursued blues, R&B, and eventually zydeco. She and her current band the Zydeco Posse play blues and heritage festivals throughout the United States and Europe. HEAVENLY : The SLO Blues Society hosts Donna Angelle and the Zydeco Posse on March 12 at the SLO Vets Hall. With traditional zydeco instrumentation—accordion, guitar, and rub-board—the group “is powered by the French dance melodies, exuberant Caribbean rhythms, and bluesy vocals, which are the hallmarks of zydeco,” according to her press materials. 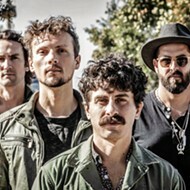 IN IT TO WIN IT : Sacramento-based All on Seven (aka—Evan Palmer and Kayla Schureman) brings its alt-country sounds to The Porch on March 10. 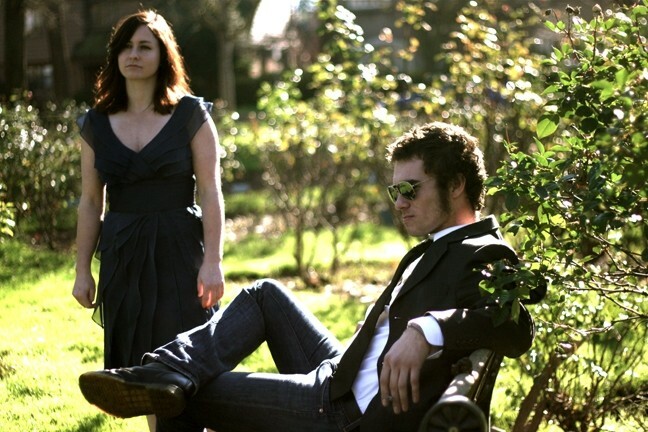 Steve Key’s singer-songwriter showcases, Songwriters at Play, has a full schedule of fun lined up, starting with Thursday, March 10, at The Porch, when Sacramento-based All on Seven (aka—Evan Palmer and Kayla Schureman) brings its alt-country sounds to Santa Margarita. The Cars, The Bars and The Lights (Part One) is the band’s third album in as many years (6:30 p.m.; all ages; free). On Thursday, March 17, The Porch hosts JimBo Trout, “the leader of a high energy, good-time band from San Francisco called JimBo Trout and the Fishpeople. Backing his raw bluesy vocal on banjo and guitar, JimBo plays a musical gumbo made up of bluegrass, ragtime, blues, western-swing, Appalachian, rock’n’roll, honky-tonk, and more” (6:30 p.m. all ages; free). 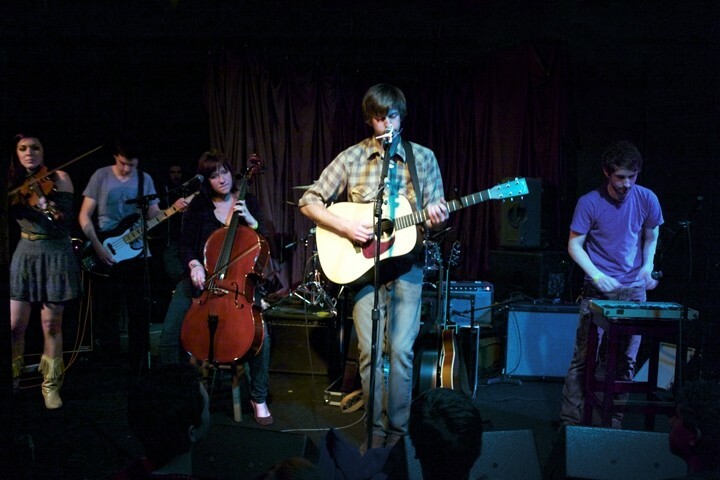 All the showcases include one featured act and others playing four-song sets. They pass around a tip jar at the free events. Tyler Fortier plays the Frog and Peach on Friday, March 11 (8 p.m.; 21-and-older; free), performing songs from his newest album, … And They Rode Like Wildfire Snaking Through the Hills ’Neath the Scarlet Sun, a collection of songs he wrote in one week’s time. “I became flooded with visions of the Old West, primarily inspired by a movie I flipped to on television called, Wild Bill, chronicling the life of Wild Bill Hickock,” Fortier said. “I started to research for myself. I began to construct stories of a lawman, gunfighter, and professional gambler whom I could never have known and a life I could not even begin to understand.” Yee haw! TWO IS ALL YOU NEED : Eclectic acoustic duo Montana Skies plays March 11 at Painted Sky Studios. Painted Sky chieftain Steve Crimmel wrote, “Three years ago, the Cambria Hoot, under the guidance of our friend the late Steve See, presented Montana Skies in a concert here at Painted Sky. They are excellent. And we are pleased to welcome them back. A must-see live concert experience: a duo with the full spectrum of an orchestra crossed with the energy of a rock band. 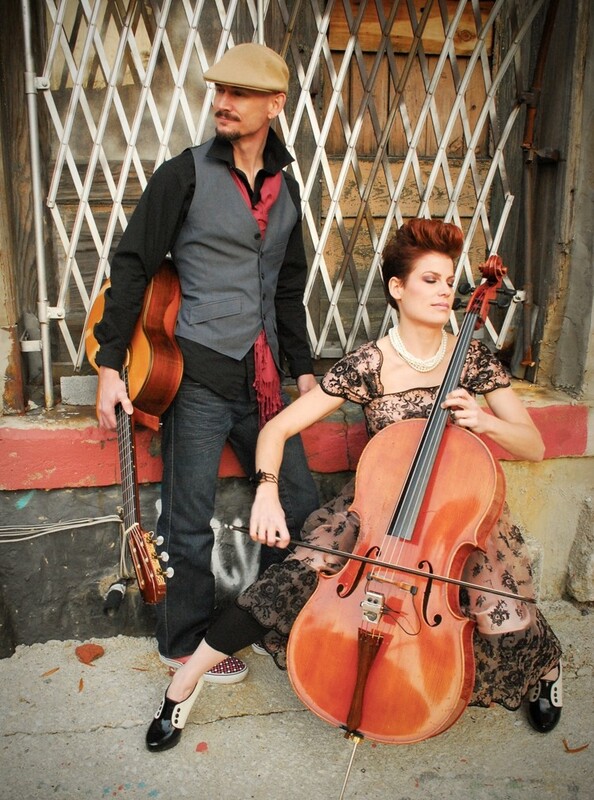 Jennifer and Jonathan Adams create a ‘new acoustic’ sound with their pairing of cello, six-string electric cello, Spanish/classical guitar, and steel-string guitar. These award winning musicians delve into music from Pink Floyd and Rush to Vivaldi, ‘House of the Rising Sun,’ and Bach, as well as their own originals that have been featured everywhere from NPR to the Travel Channel.” See them Friday, March 11 (8 p.m.; all ages; $10 presale or $12 at the door; call 927-8330). San Francisco-based Ash Reiter is coming through SLO Town on Friday, March 11, to play Linnaea’s Café on her way from San Francisco to this year’s SXSW. Her newest offering, Paper Diamonds, showcases her “honey and whiskey” voice and songs that “float and soar.” Frequently compared to Zooey Deschanel or Jolie Holland, her music feels at once retro and modern, detached yet earnest. (8 p.m.; all ages; free). Spanish guitarist and composer José María Gallardo del Rey was commissioned by SLO Symphony conductor Michael Nowak to create “Glosas,” a double concerto for guitar and violin, especially for the symphony’s 50th anniversary season. Saturday, March 12, will see the composition’s premiere when the orchestra performs with Gallardo del Rey, along with violinist Anabel García del Castillo and percussionist Roberto Vozmediano. Also on the program will be Rodrigo’s famous guitar concerto Concierto de Aranjuez and Ottorino Respighi’s Ancient Airs and Dances, No. 3. There’s a “No Ties Allowed! FREE Dress Rehearsal” at 1 p.m. and an 8 p.m. concert, both in the Performing Arts Center. 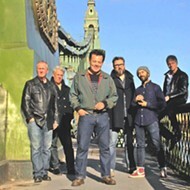 Tickets for the evening concert range from $17 to $68. Call 756-2787. Cal Poly’s University Jazz Bands, in preparation for their tour of Puerto Rico this June, will present a fundraising concert titled “Just Jazz” at 8 p.m. on Saturday, March 12, in the Spanos Theatre on campus. Tickets cost $10 general, $8 for seniors and Jazz Federation members, and $6 for students. Call 756-2787. Groovy Railroad District café Sally Loo’s (1804 Osos St.) is hosting a grand re-opening on Saturday, March 12, at 8 p.m. with Eastern European-style chamber group Café Musique (all ages; $15 general admission; $10 for students). The intimate little café has become a hangout for hipsters, raconteurs, and people who think Charlie Sheen is sort of a douche, despite his tiger’s blood, Adonis DNA, and delusion of winning. Speaking of hip new cafés, the Kreuzberg is pretty freakin’ hip right now, too. Located on Monterey between Chorro and Morro, the Berlin-inspired used bookstore has become a popular hangout and a sweet spot to listen to some acoustic tunes. On Saturday, March 12, you can sink your teeth into The Sassafrass Union, a group that calls itself “65 percent folk, 20 percent blues, five percent Rock, five percent techno, and five percent of something else.” Featuring Benjamin Ayers (vocals, guitar, banjo), Madalyn Hunt (vocals, banjo, cello, tambourine), Phil Salucci (vocals, guitar), Kate Feldtkeller (violin, vocals), Jaren Rowan (drums, tambourine), and Joe Malfo (bass guitar), they perform at 9 p.m. HE WILL ROCK YOU! 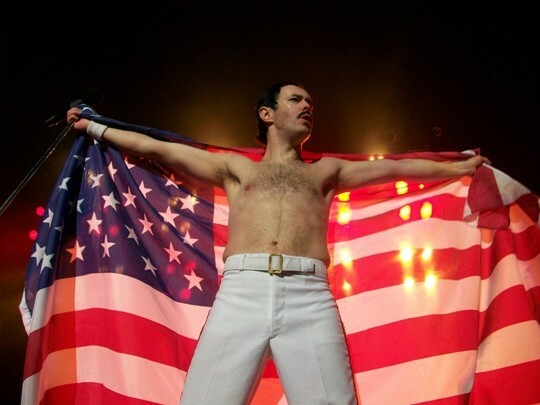 : Gary Mullen takes on the role of Freddie Mercury in the Queen tribute show, One Night of Queen, playing March 13 at the Performing Arts Center’s Cohan Center. Santa Barbara’s Howlin’ Woods plays a couple shows: Saturday, March 12, at Sweet Springs Saloon and Sunday, March 13, at Frog and Peach. Though they play mostly originals, their music is inspired by everyone from Nick Drake to DJ Shadow, the Grateful Dead to the Talking Heads, Nina Simone to Pink Floyd, Otis Redding to Black Sabbath. They are the champions, or at least they pay tribute to them—meaning Queen, the awesome anthem rock act known for “We Will Rock You,” “We Are the Champions,” “Bohemian Rhapsody,” “Radio GaGa,” “It’s a Kind of Magic,” and many more iconic songs. On Sunday, March 13, at 7 p.m. in the Performing Arts Center’s Cohan Center, experience One Night of Queen, England’s hottest Freddie Mercury and Queen tribute show. Student and adult tickets range from $24 to $48. Call 756-2787.